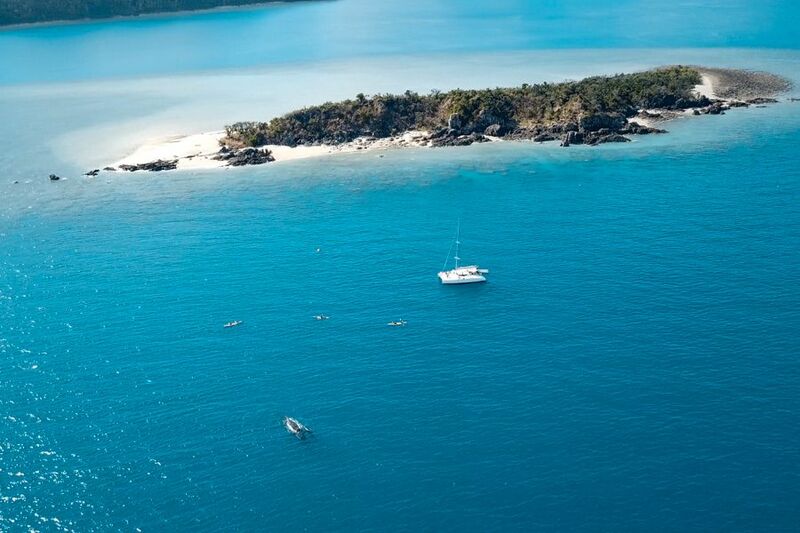 Every year the Whitsundays becomes host to thousands of whales as they migrate up the east coast of Australia. From June to September every year, the waters surrounding the islands become home to visiting migratory species such as the humpback whale and the dwarf minke whale, which flock to the warm tropical waters. 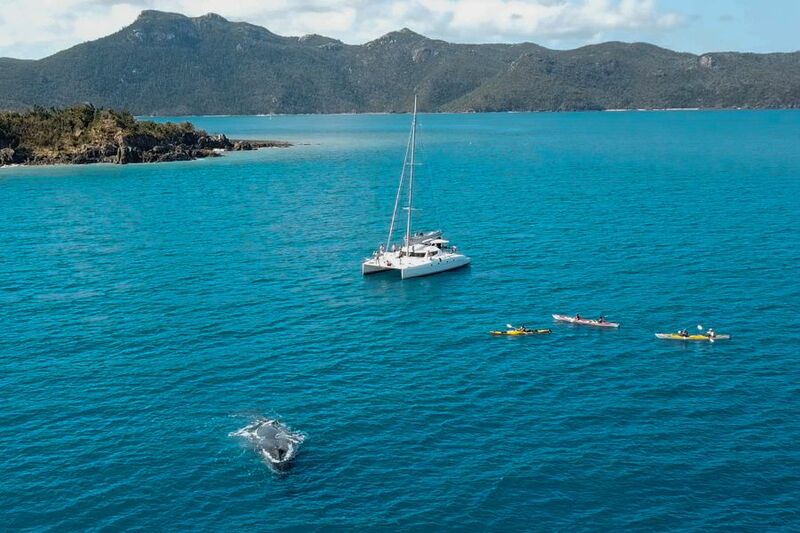 Why do whales come to the Whitsundays? 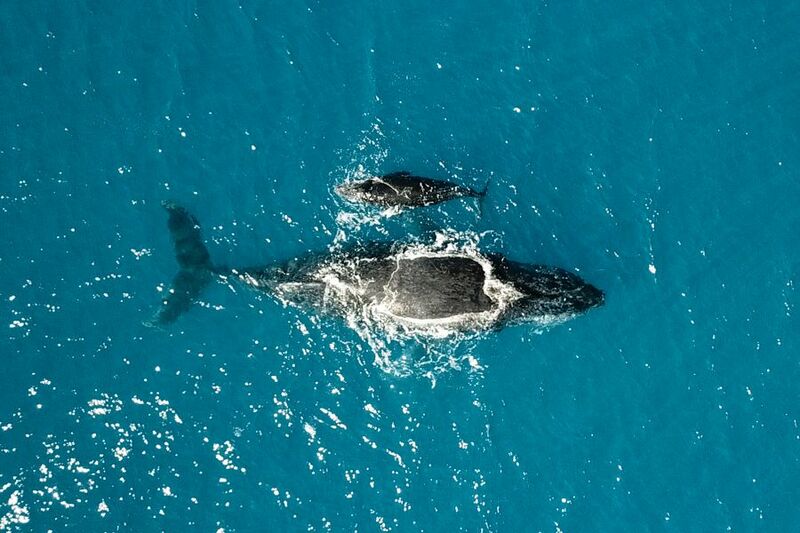 As humpback whales leave their their feeding grounds in Antarctica, they make their way north to reach their breeding grounds along the coast of Australia, migrating as far as 10,000km during their journey. Once they arrive at their destination, they will mate or have their young, using the warm waters to nurse and raise their newborns. The arrival of the whales has become a huge tourist attraction, allowing people to see these amazing creatures up close and in their natural environment. There are tours focused solely on spotting these gentle giants, and many other people are lucky enough to just come across them when boating or enjoy other water activities. They have become a large part of the tourist industry and are a welcome visitor to all Australian waters. While today Australians see the value and beauty of whales in their natural environment, that was not always the case. Many years ago humpback whales were hunted for their oil, bones and baleen, with whale hunting as the first primary industry in Australia after colonisation. As far back as people have lived in Australia, whales have been hunted. Evidence that aboriginals hunted smaller whales long before colonisation has been found, where they were likely used for their meat and blubber. However, it was during large scale fishing in the '40s, '50s and '60s, that populations on the Great Barrier Reef were depleted from 25,000 to around 500, dropping humpbacks' numbers dangerously low. A hunting ban was enacted in 1963, and without the pressure of hunting, humpback numbers have increased, with current numbers around 10,000. Most of these species do not enter the Great Barrier Reef or Whitsundays, but all whales fall under the same protective laws. There are also many species of whales that can be found in the Great Barrier Reef Marine Park all year-round such as spinner dolphins and snubfin dolphins. All species are also protected by the same laws that protect larger whale species. However, even as whale populations become more plentiful in our waters, there is still so much we don't know about these animals that call the Whitsundays home. With strict rules and regulations in place to protect them and ensure they are left undisturbed by humans, we must keep them at arms length to ensure their health, safety and comfort is maintained as they make their way to our waters each year. The whale photos included in this post were taken on a trip aboard On Ice. Why is it called the Whitsundays?